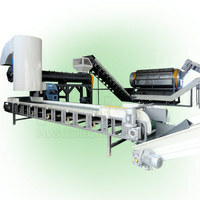 rigid plastic washing line is widely used to treat waste barrel and any scrap plastic broken into flakes. 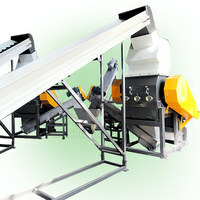 It is a crushing, washing, drying line. After finished, these clean flakes could be produced as fibre , straps and so on. 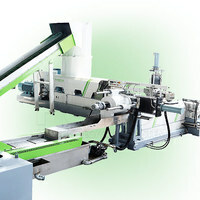 1.High automation level, try best to reduce your cost on labor and ensure high processing capacity: 500-3000kg/h. 3.Good quality on final product, low humidity content(less than 2%) and less impurities (less 300PPM). 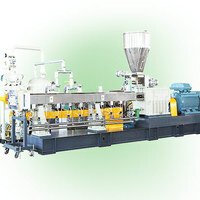 4.Realize one production line can process different material. 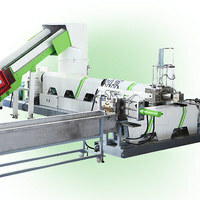 HDPE/PP milk bottle Shampoo Bottle broken, cleaned and recycled production line. 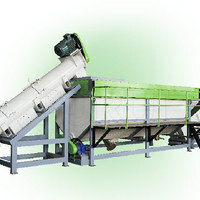 Product introduction: The chemical barrel&paint bucket recycling line mainly deals with the waste of everyday life in the cosmetics bottles, waste frames, plastic chairs, plastic barrels and other markets or factories out of waste HDPE bottles or pipes, abandoned HDPE milk bottles, HDPE shampoo bottles, daily life, HDPE pipes, HDPE gas pipes, PE water pipes, buried pipes, small pipes, small Hollow, HDPE blue bucket, chemical barrel, paint bucket, oil pot, HDPE medical waste bottle, drop bag, infusion bag, and other floating hard plastics can be recycled and cleaned, and then can be reused after granulation. 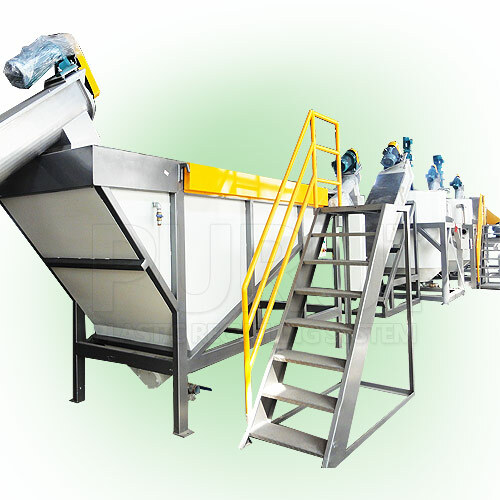 From the aspects of energy saving and environmental protection, different program processes are adopted to suit the recycling different waste plastics, and provide a matching sorting conveyor belt, high speed friction machine, plastic surface adhesive label removal, metal separator, water circulation treatment system and so on.